Smart Meter provides an easy way to access real-time and reliable blood glucose data so that health care professionals can make better clinical decisions, while saving time and money. 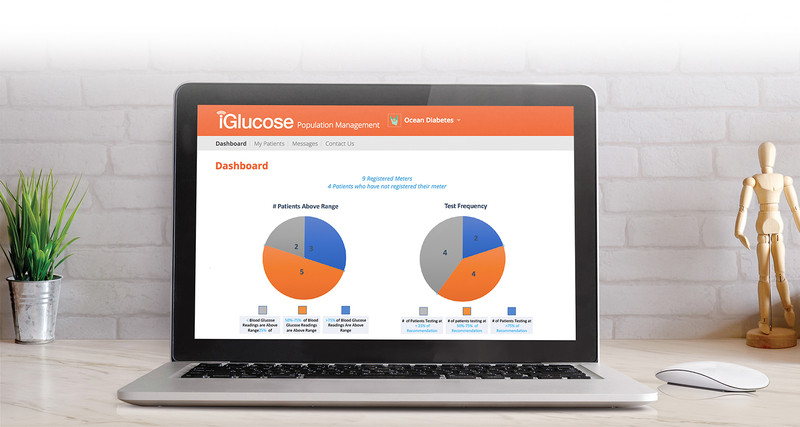 Integrate the iGlucose Population Management Portal into your practice for quick and focused review of your patient population’s blood glucose trends and values. Use the Smart Meter API (Application Programming Interface) to receive blood glucose data straight from the iGlucose Meter into your health and wellness applications or healthcare management systems. When it comes to diabetes management, reliable and timely data is vital to driving better outcomes. Now, with the iGlucose Solution, when a person checks their blood glucose, results can be shared seamlessly without extra steps or effort. Solutions with complete and timely bG data become the ultimate tool in effective diabetes management. Smart Meter is actively seeking partners that are on a mission to improve diabetes management efficiencies and lessen the burden for people living with diabetes. By integrating bG data into your current diabetes management programs, you can see if users are checking their blood glucose values as recommended. Visibility into real-time bG data helps you to identify potential issues and make appropriate therapy modifications. With the date and time of each BG result, you will know exactly when to send more strips. No need for extra phone calls or wasted inventory. Whether you develop a tool to help titrate insulin or to understand how exercise affects blood glucose levels, the iGlucose real-time bG data can help you improve your diabetes care offering. Measurements, such as HEDIS, MACRA, STAR Ratings, can be improved with comprehensive and accurate blood glucose data.